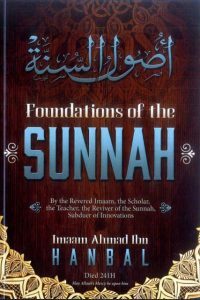 Foundations of the Sunnah complemented with extensive footnotes and 11 appendices – making it a valuable item for any English speaking student of Islam. Also contains a comprehensive biography of the Noble Imam with many moving narrations from him. This is the second treatise in the collection The Beliefs of the Pious Predecessors and the People of Hadeeth. The Author present it to the respected readers after Allah has ennobled him by making him concerned with it and by checking and verifying the hadiths mentioned therein, (all) by the bounty of Allah, the Exalted.